As the name suggests, jute bags are made from jute, a natural vegetable fiber, used in clothing, packaging, medicine, and cosmetics. In some countries, jute is even a food staple! It has many uses, but it is mainly well-known as a natural, reusable alternative to plastic bags material. Jute bags are trendy, because of their rustic natural look, and they are often ethical and sustainably sourced. Jute is mostly grown in Bangladesh and India during the monsoon season because it requires a lot of water to farm. One of the reasons it is considered so sustainable, is because a considerably large crop only takes six months to grow, which means that it needs less land and resources to thrive. Why are jute bags environmentally friendly? 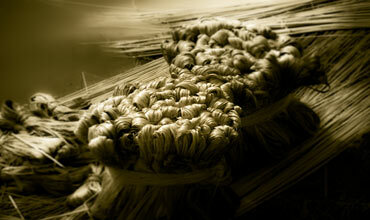 Is jute the latest eco buzzword, or is it going to make a significant difference to environmental waste and pollution? Unlike plastic, Jute is a recyclable material that is also biodegradable and compostable. As mentioned earlier, the production of jute requires fewer resources when compared to other plants, and the crop also absorbs a considerable amount of carbon dioxide from the Earth's atmosphere. The hurd (woody core) of the jute plant can be used as an alternative to wood, which could help decrease deforestation. Not only is jute available for grocery bags, but there is an extensive range of stylish handbags that have diverse colors and designs. This eco material is becoming increasingly popular in the fashion world, making for a good alternative for the planet, and for your own wardrobe!